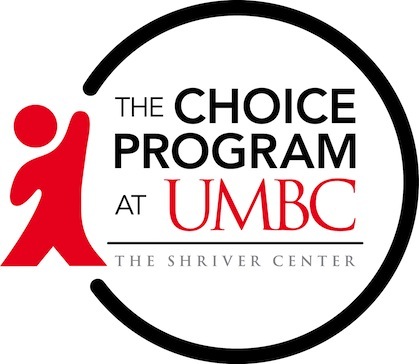 The Choice Program at UMBC provides 50 AmeriCorps members the opportunity to make a difference in the lives of youth living in Maryland’s highest risk communities. Choice AmeriCorps Fellows are committed and passionate about serving their communities. Their experience as recent college graduates affords them an ability to relate to many of the difficulties facing our youth and families in navigating an increasingly complicated world. Their volunteer status challenges the belief of program youth that no one cares except their peers and paid professionals. AmeriCorps Fellows are uniquely suited to provide caring adult relationships, opportunities for meaningful participation, high expectations and linkage to needed resources that move participants towards their goals. The Choice Program sees its AmeriCorps Fellows as the next generation of community leaders and agents of change. Their commitment to service, the community and civic responsibility can be supported to encourage life long learning and a life-time of public service. The Choice Program provides community-based case management services through four initiatives to youth in Maryland. Our goal is to foster healthy development and resiliency among youth who face adverse individual or environmental challenges in their daily lives. The Choice DJS Intensive Advocacy Program provides a community-based alternative to incarceration through daily face-to-face contact, increasing family engagement, and supporting youth with probation/legal requirements. The overarching goals of the program are to reduce recidivism and out-of-home placements, strengthen youth and family ties to the community through education and employment, and promote community safety. The Choice DSS Intensive Advocacy Program provides a low cost alternative to the removal of youth from their homes. Fellows support youth and their families to either maintain youth in their home or rapidly reunify youth just entering foster care. The Choice Education Program is in place at Lakeland Elementary/Middle School in Baltimore City and Gauger-Cobb in Delaware. Fellows support students who are struggling in more than one area including behavior, academics, attendance, and/or social and emotional well-being. Through delivery of the Choice Model in an in-school environment, Fellows provide a community-based alternative to students being involved in the disciplinary process and the possible ejection of students from school. The Choice Jobs Program prepares youth for the work world. Choice operates three Flying Fruit Fantasy (FFF) stands to provide on-the-job training experience for youth. The program utilizes a supported employment model that delivers community-based vocational services that include a job readiness curriculum, paid on-the-job training experience and supported job placement. The Choice Jobs Program, in conjunction with the Intensive Advocacy program, addresses employment barriers by building skills critical to the culture of work.